If you need immediate assistance, then please call (720) 613-2633 now. Otherwise, we will review the information you sent to us and reach out to you soon. 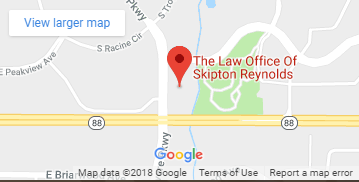 As a Colorado elder law attorney, Skipton Reynolds handles a wide variety of elder law issues. These include estate planning, advanced medical planning, nursing home abuse and neglect, probate and more. He places a special emphasis on protecting the assets of aging loved ones and educating families about complicated laws and the best options available to them.